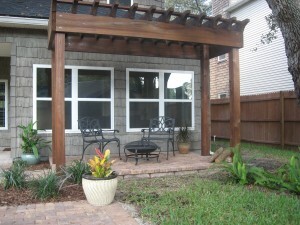 Dreambuilder Custom Homes recently created a backyard oasis for the Byrd family in Jacksonville Beach, FL, known as Dreambuilder Six. Dreambuilder worked with the Byrds to create a plan of several outdoor rooms, starting with their covered porch as a sitting area. Using pavers, additional areas for entertaining, cooking and ‘sleeping’ – with hammocks – were created. Different pad sizes and elevations were used to create visual interest. 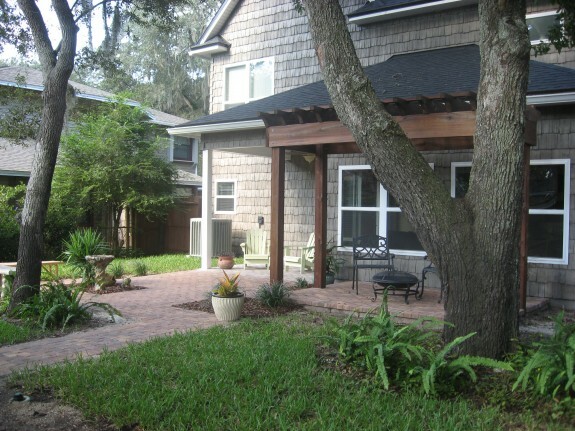 Crowning the entire project was a beautiful cypress pergola, custom designed for the space. Dreambuilder can help you imagine and create the outdoor living lifestyle of your dreams. Contact us today to get started!